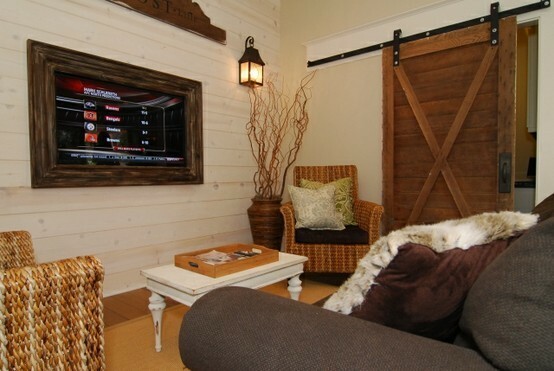 TVs are probably the hardest design challenge when it comes to living room spaces. It’s like do you mount it over the fireplace? 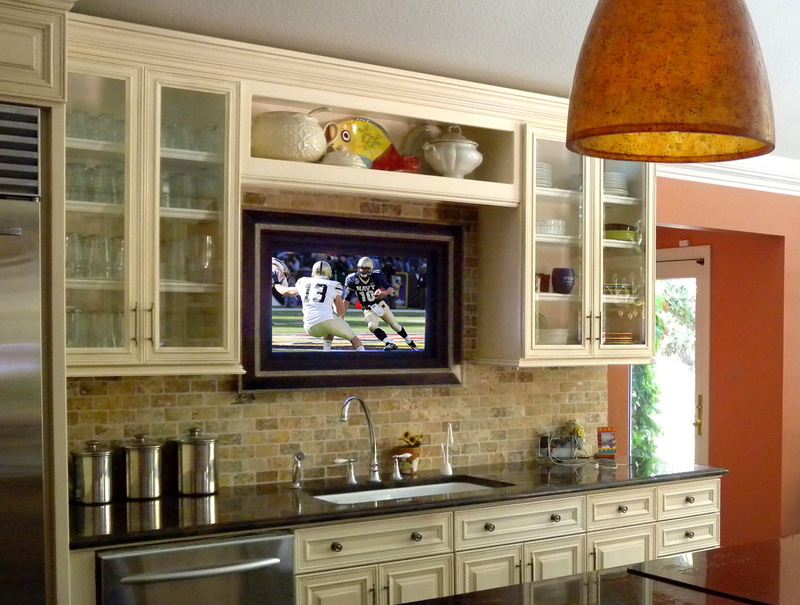 Hide it behind an armoire cabinet? Stuff it in the corner?! I too have had the hardest time with this. Our living room is pretty small and we have a massive TV! 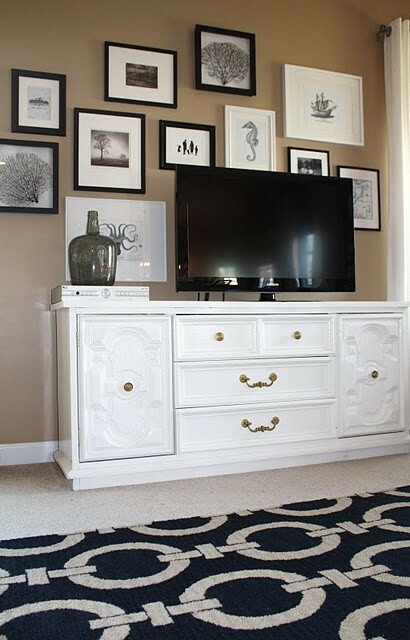 (I blame this on my Husband) I have gotten a couple of emails from readers asking for my ideas on how to make their TV NOT be the focal point of their entire room. So here ya go! AMAZING right?? I love this idea. 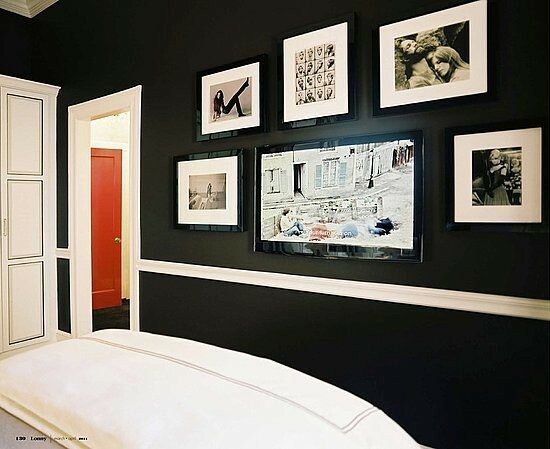 Embrace your TV by framing art or photos around it! So simple & fun. 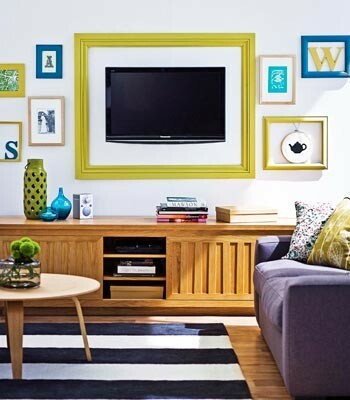 Personalize it by choosing frame colors that go with your decor! It can even be off centered & still look amazing. 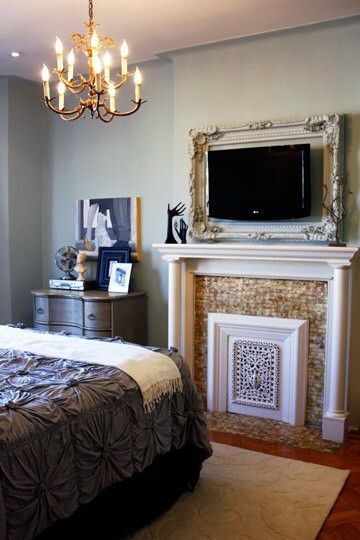 I love how this blends perfectly with the gallery wall. Makes such a difference don’t you think? 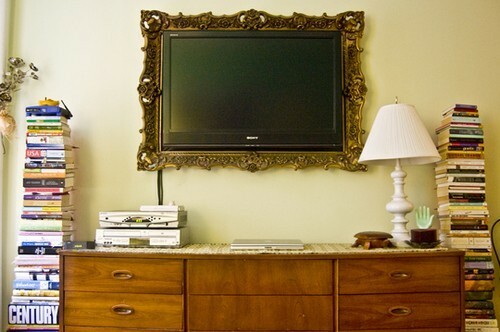 Idea #2 – Frame your TV! 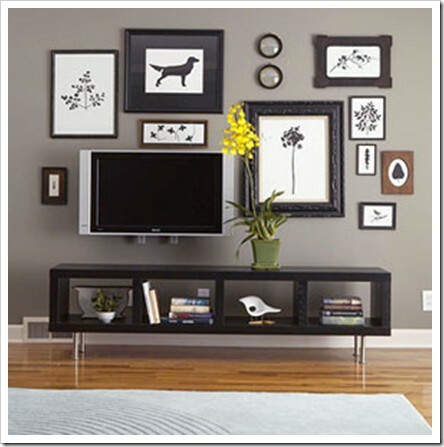 Check out Frame My TV for custom TV framing! Do you like these ideas? Have you done something similar? I’m always looking for more ideas, so please share!